Con un po’ di ritardo viene pubblicata di seguito l’intervista a Wolfgang Thaler e Maroje Mrduljaš, rispettivamente il fotografo e uno dei curatori del volume “Modernism In-Between: The Mediatory Architectures of Socialist Yugoslavia” pubblicato da Jovis. La mostra delle fotografie di Thaler, esposta al terzo piano del Museo Revoltella e conclusasi lo scorso 28 gennaio 2013, esponeva un repertorio di immagini di alcune fra le più significative architetture della Jugoslavia socialista. Nonostante l’indubbia qualità degli scatti proposti la mostra ha omesso tutto quel lavoro di ricerca e di analisi che ha prodotto il libro e un evento importante come “Unfinished Modernisation: Between Utopia and Pragmatism”, una serie di mostre, conferenze, eventi, ecc. destinati e concepiti per fornire un doveroso tributo a una produzione architettonica e urbanistica di notevole qualità. Consiglio dunque una visita all’omonima mostra ospitata attualmente al MAO (museo di architettura e design) di Lubiana e l’acquisto del relativo catalogo, per una più approfondita e illuminante conoscenza dell’argomento. Wolfgang: I think that this project is quite different from Chaubin’s. Here we have a work of three people: Maroje and Vladimir, who are historians, and me the photographer. Step by step we dug deeper and collected the photographs as you can see here. Also the texts presented in the book reflect a research over the years. G: it’s interesting to note the remarkable inventiveness and formal expressiveness of the buildings caught in your photos, in sharp contrast with the standardized method of construction (I mean the model of Plattenbau). Yet, in some cases, there’s still a ‘sinister’ charm, I’m thinking about the Mamutica in Zagreb. What is your relationship with that kind of architecture? W: my relationship is just putting the camera in front! Ahahah! My relationship with architecture is a photographic one, is to capture it so other people can read and get an idea of the buildings. My aim is not to comment or judge the objects I photograph but the images should also be – if possible – a pleasure to watch. Besides of finding proper angles the photographer also has to deal with the objects, vegetation, people etc. which sometimes add significantly to the image. Each trip I have done we planned, made a list of objects that should be photographed, not all of them were possible and some have been added while traveling but it was not that I discovered the buildings while traveling. G: how can describe your pictures a work of architecture? I mean, on which aspects do you focuse more in showing a building? W: when I photograph a building I simply try to make it readable for the audience and try to contribute to its acceptance, to make it understandable in some way. Francesco: you collaborated together to create this book, is it a photographic book? between individual and collective, consumer lifestyles and egalitarian goals of society, between progressive future and mythical past….. We have combined in-depth historical survey and careful selection of photographs. These two layers of the book are mutually dependent and are result of collective effort and close collaboration. I would say that our book is different than most of the popular books published recently about the so-called ‘East Modern Architecture’, which are often based on sort of “curious gaze” on “exotic Other” of modernity, without seriously taking into account real architectural quality and instead focus on bizarre, eccentric an unusual. Also, they rarely attempt to provide the reader with more complex historical interpretations. Project started on Wolfgang’s initiative and his images are central, but he knew that he needs to collaborate with historians and critics of architecture in order to capture the meaning underlying the mere aesthetic qualities of architecture built in socialist Yugoslavia. M: In some cases housing blocks were indeed associated with the investors, with the company who actually paid for the construction of the building or the office buildings were known by the name of the company which housed it. On the other hand, the cultural role of the architects was exposed and some of them were quite well known. For example, major Yugoslav daily newspaper Borba gave annual award for architecture, creating sort of architectural star-system. After the dissolution of the socialist Yugoslavia architecture of 1960s or 1970s was not automatically rejected because of the ideological reasons. Some big housing complexes were criticized as inhuman or for lacking more diversified programs even during socialism, but that’s reaction to modernist housing settlements in general and preference of single-family house over collective housing. Nowadays, modernist residential areas in New Belgrade, New Zagreb and Split are recognized as quality space because of generosity of public space, greenery, provision of parking and good functional organization of flats. Furthermore, concert halls, schools and hospitals which were erected during the socialist period and are still functioning today – urbanization process was vast and many of public facilities or urban infrastructure date from period of socialism. Simplified bipolar reaction to socialist architecture is much more complicated and ambivalent and is related to comprehension of modernism in general. What we really have to do is re-inscribe architecture of high quality produced in the socialist Yugoslavia into the international history of modern period. Nowadays the dominant historiographies are written by the westerners and architecture from socialist countries is mostly omitted, partly because of lack of information, partly because of lack of understanding of local contexts and performance of these architectures which should be also taken into account. Architectures from Eastern or Central Europe are normally comprehended as distorted or simplified version of western modernism which is considered as sort of normative stylistic or aesthetic canon. But we should go beyond pure aesthetics and investigate how architecture contributed to the modernization processes, emancipation of citizens, and introduction of new urban cultures. 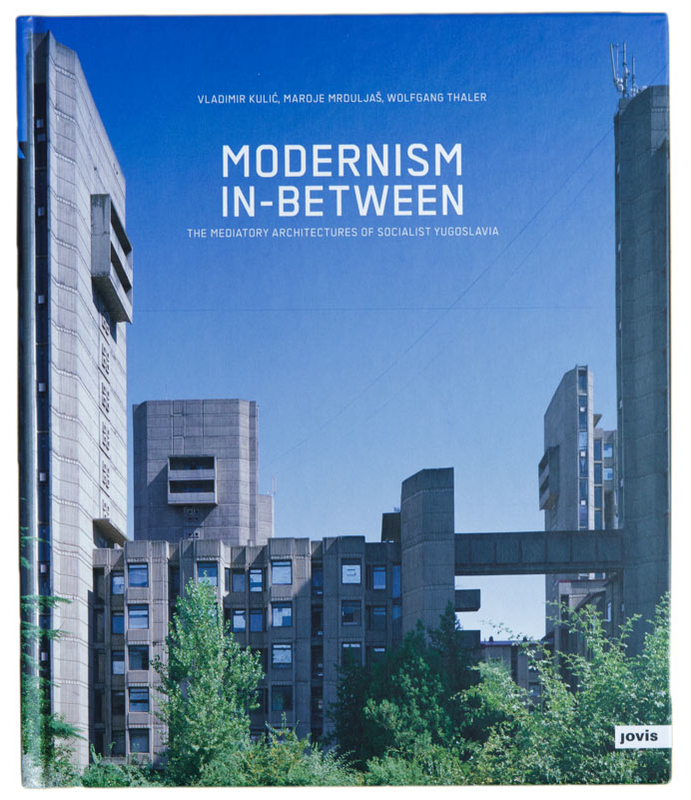 I think that our book shows quite clearly how architecture in Yugoslavia changed overall societal landscape. In Yugoslavia urbanization as major modernizing device was essential. But, in Poland, Czech Republic, former Soviet Union or elsewhere in Central and Eastern Europe you will also find advanced architectural concepts, unfortunately often unrealized, and interesting built architecture. The energy of historical avant-gardes didn’t just vanish; it was channeled in different types of architectural activities, for example urban planning and export of construction expertise to the Third-World post-colonial countries. After the Cold War divisions, new architectural history needs to be written. W: I don’t like too much the use of labels such as “East-modern” and others as they tend to simply the topic, which is especially in the case of former Yugoslavia misleading as there was no homogeneous production of architecture. The buildings presented in the book are only partly residential, lots of them are institutional and they are usually not rejected by the people. What people usually critize is the lack of maintenance rather then the actual quality of architecture. 2 risposte a We are Mod(ern)s! We are Mod(ern)s! We are we are we are Mod(ern)s! I really wanted to discuss this post, “We are Mod(ern)s! facebook. Ionly wished to distributed ur great publishing!